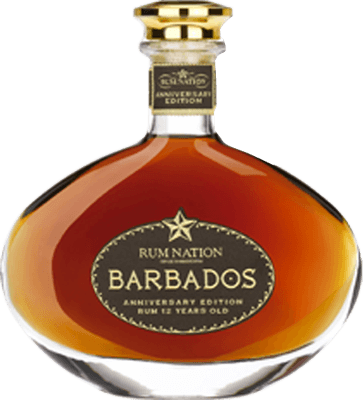 Have you found an online vendor selling Rum Nation Barbados Anniversary 12-Year? A couple of Rum Nation's offerings have tested with moderate-to-high amounts of added sugar (see Jimbo's list). 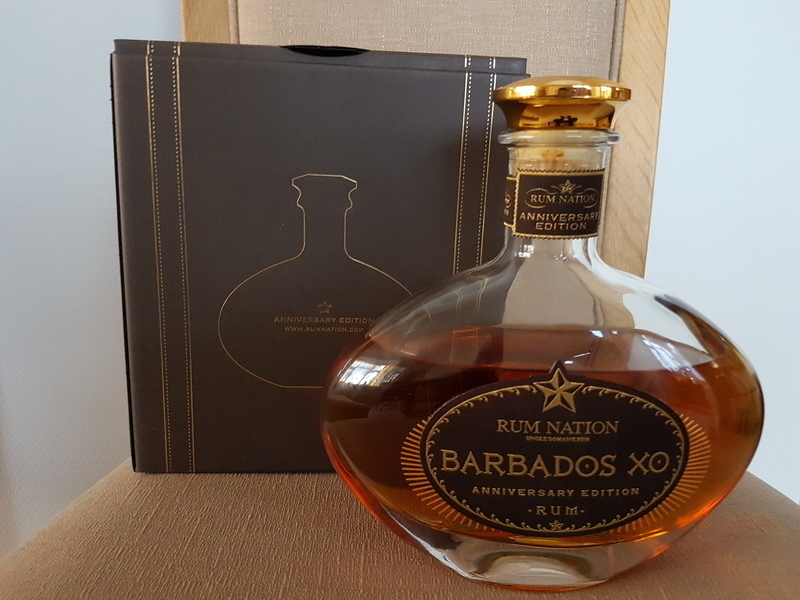 It would certainly explain why this Bajan rum is curiously sweet, with the obligatory vanilla milkshake flavor profile and smoothness common to doctored rums - but not usually to authentic Bajans. This tastes more like (the notoriously sugared) Plantation XO than it does any traditional Barbados rum I've ever tasted. Yeah, I'm suspicious of this one. This fabulous rum begin with a clear smell, infused with notes of vanilla and a touch of fruity apricot and pineapple, devoid of any spirit harshness. The taste starts off with strong, yet delightful vanilla in a smooth and rounded package. Fairly quickly, oak and baking spices roll on top of the vanilla, balanced with a freshness almost like mint. This is an exceedingly refined rum that absolutely shines in the high-end premium rum class. For a 10/10 rating I would have liked the taste to linger a bit longer and provide one or two additional taste combinations - maybe a touch of naughty behavior, which this high class lady just cannot be bothered with. But still, this rum comes very close to perfection. In my humble opinion, this rum deserves to be served neat (unmixed at room temperature) and allowed to breathe for at least 10 minutes to bring out the true flavor. 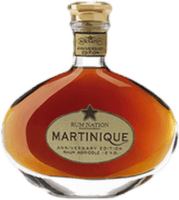 Rums great for mixing can be bought much cheaper. Very lovely. It has a fine vanille nose. The character is light. It has a delicate sweet vanilla flavour, which subsides smoothly. For full potential, let it sit in the glas for 10 mins before enjoying. A shame that rum nation went a little overboard with the added sugar. It has a delicate sweet vanilla flavour, which subsides smoothly. For full potential, let it sit in the glas for 10 mins before enjoying. A shame that rum nation went a little overboard with the added sugar. In the nose : Vanilla and melass, dried banana. Mouth: Smooth and lovely. Taste of vanilla and fruit and a lot of other great taste. A complex taste and very nice. The aftertaste: Here we find some oak more fruits and somr dryness. All to all a very good rum with a complex taste. A must in the cabinet. Top vinder dette er en lækker rom med masser af smag. Lad den stå i 10 minutter før du drikker den. Slightly spicy, but soft and elegant. It evolves on a fine balance between honeyed sweetness, oaky influence, tea, mint, and a hint of medicinal herbs. Juicy but delicate. Strange taste like something went sour during its making. After taste is bad chemical taste in your mouth. It reminds me of Dzama Vanilla 10y, but this is slightly less stomach turning. I found it good and round with no overflow of sugar, and nice tones of barrel. A fine rum. Boven verwachting. Uitstekend voor de beginnende puur drinker. Un miros plăcut de vanilie pe care nu îl găsești persistent în gust, un aftertaste scurt și alcalin. Fin și deosebit.. Only on the rocks! 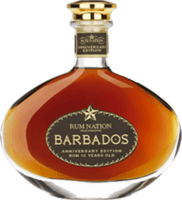 Rum Nation Barbados 12y is much better than the Rum Nation Panama 18y, but the Barbados rum is just way too sweet to the nose and palate. Why to add all this extra sweetness, is it to hide some of the harshness of the rum. Struggles to earn a 5. Gav 349,- kr i Billund Lufthavn. God smag og en lang eftersmag. Dejlig drik af en flot flaske. Smager efter mere..